Morning everyone! Just a quick note to say we have uploaded a gallery for each of the two new ranges launching on Friday, so if you’d like to see the kind of cards you can achieve with the gorgeous new Humphrey and S.W.A.L.K. stamps, head on over to the galleries now. Here are a few sneak peeks…. 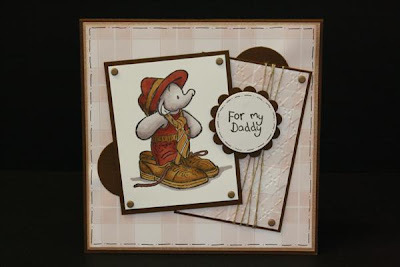 This gorgeous Humphrey card by DT member Ali is just perfect for Father’s Day, or for children to give to their dads on their birthday! To see all the cards in the Humphrey gallery, click here. This beautiful S.W.A.L.K. 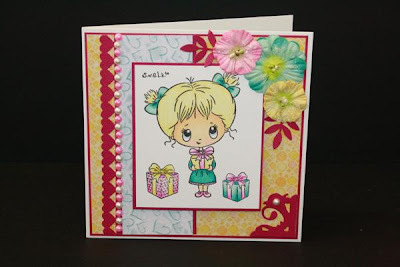 card, made by DT member Marcea, fills you with a summery feeling, with all the vibrant colours and embellishments. To see all the cards in the S.W.A.L.K. gallery, click here. Both cards here, and all the cards in the two galleries have been coloured using Spectrum Noir pens. You can still take advantage of the fantastic launch offers we have available on the pens, until the end of the month – click here to browse the range.